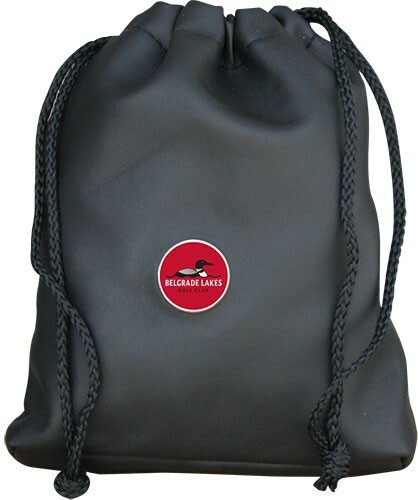 Our leatherette drawstring valuables pouch will accommodate all your golf essentials while sporting a vibrant 1.00" medallion imprint in full color or frosted etch imprint. Lightweight yet durable, you won’t want to be without one. Frosted etch - add $ .50 per piece running charge. 7.25" x 7.25" x .125"